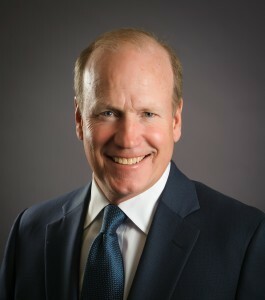 He is a seasoned executive with proven experience in business brokerage, asset management for high net worth individuals, originating and managing fee for service contracts with public and private sector clients, structuring corporate and tax exempt financing, and developing and maintaining long term corporate and municipal client relationships. This unique business experience has given him first-hand knowledge of the challenges and opportunities facing business owners and investors who wish to buy and sell businesses. Toby’s career began at Smith Barney Harris Upham & Co in Washington, DC and San Francisco, CA. He also spent 18 years as Senior Vice President of KemperSports Management, Northbrook, IL building the company’s fee for service golf course management business with public agencies and private sector clients, which today is one of the largest and most successful golf course management companies in the U.S.
His colleagues and clients recognize him as a leader with uncompromising integrity who puts his client’s interests first thus resulting in successful long-term relationships. He is a responsive executive who recognizes client needs and implements solutions with diplomacy and pragmatism.